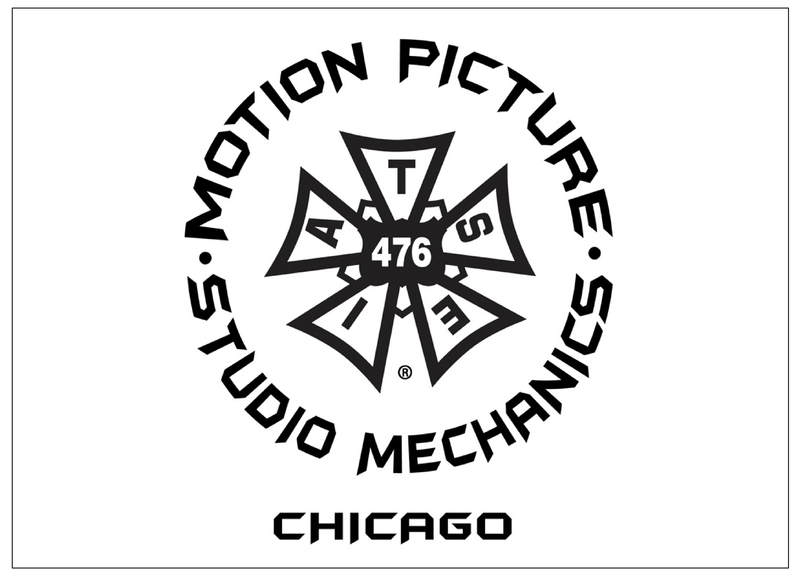 The members of Studio Mechanics Local 476, the Chicago branch of the International Alliance of Theatrical Stage Employees (IATSE) union, work behind the scenes of every Cinespace production. Without their contribution, the magic that comes out of Cinespace would be much more difficult to make. 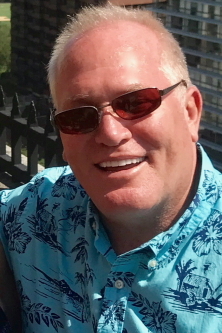 Hogan is a third-generation member of the union who earned his chops as an electrician on a long list of shows and films including “Blues Brothers.” When his members were working on “Nightmare on Elm Street” at the former home of Ryerson Steel years ago, he called Alex Pissios and his Uncle Nick Mirkopoulos, who were looking for studio space. Alex and Uncle Nick eventually purchased several buildings in the area and turned them into Cinespace Studios. The IATSE was born in New York City’s Elks Hall on June 17, 1893. Representing stagehands from eleven cities across the country, it was the end result of an 1886 strike that “succeeded … with the support of the actors,” according to Wikipedia. It also has the coolest logo this side of the Nike Swoosh. Chicago Local 476 was Chartered in 1931 and originally represented workers in both live theatrical and motion picture productions. Fifteen years later, it split into two separate entities: one representing live stage; the other, recorded film / TV productions. Early this year, Local 476 opened a satellite office at Cinespace, where the union has a presence near to all of the work at the studios and downtown locations. Most of the people who join Local 476 have completed the training process of an apprenticeship and earned the rank of journeyman by the time they come on board. “We get a lot of people who come from the construction trades,” explains Hogan. But, he continues, it’s not for everybody. “If they build a building or a new home, they work pretty much eight hours a day. Our crews normally work ten to twelve or more. Local 476 also has apprentices — “If they have a skill set, they can get hired,” says Hogan. This season, the Local has begun an internship, partnering with NBC and the Cinecares Charitable Foundation of Cinespace Studios. The program is dedicated to exposing young residents of the Lawndale neighborhood to the skills needed to have a career in Local 476. “We’re happy that CineCares and the network brought this to us,” he says. “Local 476 has been working hard to achieve greater diversity and along with an aggressive training program and neighborhood outreach we’ve been able to work with these organizations with great success”. Hogan’s other responsibilities include bringing productions to Chicago by pitching the advantages of 476 and negotiating contracts, two of his favorite things to do. 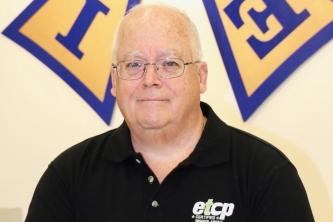 Nearly five years ago, Hogan was joined by Local 476 President Bradley Matthys to address the incredible growth in the industry. It marked the first time in the Local’s history that two full time officers worked together on behalf of the members and . When potential clients ask about the availability of stages and crew, the talents of his membership, the growth of the local infrastructure including Cinespace has given him a lot to talk about. The deals he arranges not only provide labor, but also assume a huge load of responsibility associated with production. Covering everything from compensation to meals, travel, holiday pay and more, Local 476 frees up the filmmakers to be filmmakers. Hogan is also frequently asked about filming in Chicago, a topic that he’s more than happy to discuss.